More than 500,000 businesses are registered in the United States every year, with magnitudes more being contemplated and planned. As technology advances, more and more businesses are focused entirely online or at least need to be found online. Want to learn everything about domains in a weekend? Watch this show for a special offer. 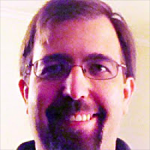 Steve Jones is co-founder and chief operating officer of Domainate.com, a domain name brokerage and consulting firm. With exposure to computers since early childhood and to the Internet since before it boomed, Steve developed an interest in domains in the late 1990s. He decided in early 2004 to explore this interest and to start buying domains with the intent to sell them. With little money to start and through trial and error, a successful hobby provided a growing side income. It exploded into a career when in 2007, Steve officially left the working world and became a full-time professional in the domain industry. Steve’s most notable sales are Poker.in in 2007, which still holds the record for highest public .in domain sale at $60,000; and SixDegrees.org in 2005, bought by Kevin Bacon, who then co-founded the charity Six Degrees. Michael Cyger: Hey everyone. My name is Michael Cyger, and I’m the Publisher of DomainSherpa.com – the website where you come to learn the secrets of the domain name industry directly from the experts. More than half a million businesses start up in the United States every single year; magnitudes more are contemplated. And in tech communities like Seattle, where I live, and Silicon Valley, where I used to live, even more are developed every single day; and tested among friends and in networking groups. So the question for this show is this: What do startup entrepreneurs need to know about domain names that’s not currently published about? Joining me to answer this question is Steve Jones. Steve is the Co-Founder and CEO of Domainate – a domain name broker, trainer, and consulting service provider. Steve, welcome back to the show. Steve Jones: Thank you, Mike. It’s a pleasure to be back. Michael: It’s great to have you back on the show Steve. For those that haven’t seen your first interview on Domain Sherpa, you can go to DomainSherpa.com/Steve-Jones and learn about what we discussed last time, which are your eleven steps for domain name due diligence. So, watching that show will give you all the things you need to know about buying a domain name to make sure that you don’t infringe on somebody else’s trademark and end up losing your domain name that you might have spent thousands of dollars for; make sure it’s not stolen, make sure it wasn’t used for unscrupulous purposes in the past, like spamming or adult websites; and make sure it’s not on blacklist. Michael: So, as I mentioned in the introduction Steve, today we’re going to focus on some of the realities of the domain name industry. Let me start by asking you a high level question about the domain name industry. If a startup entrepreneur wants to buy a domain name like, let’s say, MobileApps.com, or – tablets are big – let’s say TabletOrganizer.com – a good two word domain name for a product or service; what’s been the general trend and desirability in cost for premium domain names like these? Steve: First off, the domain space has been continually growing since it first began in the eighties, and the Internet has become vital for business in nearly every industry; and it’s even become vital for smaller, local businesses that may not have needed an online presence before. So, you know, demands for domains overall has only grown over time. Then when you get into premium domains, they have always had high demand once the Internet started attracting business since they stand out, they convey authority, and they’re much more easily memorable than lower quality domains – you know, ones that are, say, three or four words where there’s some brandable terms in them that people need to remember. So in the supply of premium domains; it’s really stayed put or gone down over time, because businesses getting their hands on premium domains take them off the market. And there’s transactions like that going on all the time; where large premium domain sells and, basically, that domain’s gone pretty much forever in most cases. So with the demand going up and the supply going down, the cost of premium domains has been steadily increasing quite a bit as a whole. So they’re just simply not as easy to get, and owners of premium domains understand the heightened desire for them and place higher prices on them. Michael: Okay, that makes sense. You know, I often talk to friends and acquaintances in the technology space about domain names. A good example is my neighbor next door to where I live. She wanted to start a wedding consultant business, where she will actually be the consultant for people that are thinking about getting married in our local area. And she’ll, you know, offer up a bunch of locations, and make sure that the caterers are set up – basically, handle all the logistics. And so we were trying to focus on a geographic domain name for her. Like a city name plus wedding, or weddings in something or other. And it is amazing! Every single domain we would go and lookup has been reserved by somebody. Steve: Oh yeah. And like I said, now, local businesses are having to go online as well to attract attention because more and more people are searching online before they even go to a local business. Steve: Either to look for reviews; look for a website for more information. And so, you know, when you’re talking about local businesses, a premium domain for them may simply be like a geo. Like in case of here, San Diego. SanDiegoWeddings.com could be their premium. That could be the thing that would be the best option for them. And yeah, I mean, those are equally in high demand and are very hard to get now. Michael: Yeah. And so, while Weddings.com or Wedding.com – one of those two – might be the ultimate wedding domain name, if I’m just a person in a small town in Seattle and I want to cover my area, SeattleWeddings.com may be the best domain name for me in that case. Michael: Okay. Alright. I did an interview in the past with Steven Boal, who is the CEO of Coupons.com. They received funding a few months ago that valued their company about a billion dollars. And I had him on the show talking about the power of a generic keyword domain name. In his case, he owns Coupons.com, which is the name of the company and it also defines an entire industry around coupons. Whether it’s a single-word, or a two or a three-word like SeattleWeddings.com, what’s the first thing that business people who need these domain names should know about premium domain names? Steve: The main thing they should know is that they might simply be out of reach. You know, their top option might either not be for sale; they might already be owned by a business in their industry who’s using it. And then, even if it is for sale, the price might be beyond the budget that they have to work with. You know, especially a startup with kind of a smaller budget. You know, especially in an industry that’s large, where a lot of the higher end domains are going to be six or seven figures. Those domains are probably going to be out of reach. Simply because even if they’re for sale, they’re not going to be able to afford them. So, you know, everyone wants a premium name for their business; but when few of them are for sale and few buyers are able to get them, that’s just a fact of life. There’s not going to be very many opportunities where you’re going to buy the best domain for your business. Michael: Sure. I learn by examples. And I know a lot of people can understand what you’re saying, but they can’t actually internalize it until they start to think of the numbers. So you’re throwing out six, seven figure names. Let’s work our way down and do a few examples. What would be a seven figure – a million dollars or more – domain name that people might buy, or that has recently transacted? Do you know off-hand? Steve: Well, for instance, if you want to look at seven figure names, you can look at practically anything that (Unclear 08:05.8) buys. They buy tons of extremely high quality, top-tiered, generics. And one example, that I know off-hand, is Social.com, which, I believe, they purchased for 2.6 million. Steve: But, you know, that’s one of the best, if not the best, domains for social medias/social networking; basically social enterprise, which is kind of what they’re after. And another example. I believe they recently bought Work.com. They’ve bought Data.com. Database.com. All those, I believe, they’ve paid seven figures for. So, you know, just extremely top-tier, but also in very large industries. You know, ones where the best domain is pretty much going to mean a lot of money and direct traffic going to it; or just, you know, the branding aspect of it. It’s the most premium brand in that industry. And because of that, they can hit the ground running with the power of that domain. Michael: Yeah. And that makes sense. They’re short. They’re single words. They’re dictionary words. They’re probably words that a lot of people just type into the browser. You know, I never really understood why people actually type in domain names into their browser without just going to Google or Bing and typing in their search and seeing what they say the authoritative website is. But people do it. You know, I’ve actually bought a couple domain names. I see it for myself; and I’m amazed. So, you know, I can only imagine that domains like Data.com, or Work.com, or Social.com are going to get good amount of type-in traffic. So that makes sense. That gives me an idea that single words, generic words; generic meaning it’s not a trademark item like Sales Forces being a trademark, maybe, of SalesForce.com, or something like that, where someone would make a typographical error of the domain name and try and get traffic. So those make sense. Now let’s take a step down from there. Because, you know, I can’t afford anything like that. I know no startup’s can afford something like that unless they just have a major amount of funding and they’re willing to spend a big portion of that on, you know, their marketing budget which may include getting the category killer domain name like Coupons.com. So let’s take a step down from there and look at six-figure domain names – a hundred thousands dollars to nine hundred and ninety-nine thousand dollars. What would a domain name like that be? Steve: Oh, let’s see. You know, it could either be top-tier premium domain of a smaller industry. For instance, Speakers.com for computer speakers or something. It’s certainly a sizable industry. There’s a lot of speaker sales, but it’s not something extremely huge like insurance, or real estate, or social media or whatnot. Steve: And on top of that, you can even look at ones that aren’t necessarily top-tier but they’re in the bigger industries. For instance, an insurance domain like CheapInsurance.com. It’s something where it may be an additional word with insurance to where it’s almost even a brandable word. I mean, cheap; it can be a brandable word, but people search for it. It’s a huge search term. And insurance is extremely lucrative. Especially all the areas combined. I’m sure it’s a multi-trillion dollar industry. So considering that, and considering, you know I believe Insure.com had sold for like sixteen million. And the CarInsurance.com and CarInsurance.org, both, had extremely high sales. You know, in an industry like that, you can even take a step down and those domains are going to be worth six figures. Michael: Yeah. Okay. So that makes sense. We’re not talking about Insurance.com, which would be a seven-figure number. Or CarInsurance.com. Or maybe even HomeInsurance.com. But like some other word tact onto the front, that still has enormous search volume. And if you go to Google Adwords Keyword tool – and I have an article on this DomainSherpa if you go under, I think, Buy, you can see an article on how to use Google Adwords Keyword tool – they’ll show you the search volume. And if you have an AdSense account and you sign in, it’ll show you the average cost per click of that. You can calculate basically how big a niche is for that. And so I understand that. Some public information here – I recently saw that Adventure.com was selling for, I think it was, right around asking price was four hundred thousand dollars or three hundred thousand. Somewhere in there. I saw it on a list, so it’s public information. I know that it used to be owned by Eric Borgos. He came on the show and he told us when he bought it. There was a word that, you know, great generic single-word domain name. It’s great for a brandable domain name. You can run a travel company. You can run, maybe, a gaming company. You can do a lot of things with Adventure.com. But if you go and you type in Adventure into Google, you don’t see a lot of companies paying for advertising like when you search for Insurance let’s say. So that sort of separates out the seven-figures from the six-figures numbers maybe. Steve: Exactly. And, you know, like (Unclear 13:53.6) points out the very high-quality brandable kinds of names. One that may not have an exact generic quality where people would know what to expect on them. But by the same token, they make for a great brand and that’s what people are looking for. They want to build a great brand. And because of that, a lot of companies do look at brandable domains. And so, higher quality ones, like single-word ones, like that would be highly memorable; would still go for premium prices. Not as premium as Insurance.com, but still certainly definitely high prices because they’re still a rare kind of name and are in high demand. Michael: Right. Okay. So that’s the seven-figure and up. The six-figure domain names. Now we’re getting down into the domain names that are still pretty high priced. Let’s talk about five-figure domain names and lastly, we’ll talk about three and four-figure domain names. So, five-figure domain names. From ten thousand dollars up to ninety-nine thousand dollars or so. How do you differentiate those from a six-figure domain name? Steve: Well, kind of in the same way that a six-figure domain would differentiate from a seven. You know, you can look at both, the smaller industries; you can still sometimes get the best option for a particular industry if it’s a small industry. That could be a one-word, or just the most targeted two-word, generic that fits the industry; but it’s just not a particularly big one. Steve: An example might be PainMedication.com or something like that, where it’s an industry. It’s obviously something that’s big. And that’s a generic name, but you’re kind of focusing in, now, on something smaller versus something a lot larger like Medications, or Meds, or whatnot. Steve: And then again, looking at the larger industries you can go down even further. You mentioned local domains before. Something like SanDiegoCarInsurance could possible sell for five-figures because car insurance is huge enough, and there are millions of people in San Diego. Most of them drive. And in California car insurance is required, so there are that many potential customers. And if people are looking for insurance, they may type in San Diego Car Insurance. Michael: Right. Whereas if they live in the middle of the dessert, ModestoCarInsurance.com is probably worth much less. Because you have a smaller population and less people on the Internet. All those reasons. Michael: Okay. So here’s the big thing that I think entrepreneurs, or startups, have an issue with. Because the bottom area – the five-figure; the four-figure; even the three-figure -, you know, the hundred dollar domain name up to ten thousand dollars is a big gray area. Because a lot of these domain names don’t have an enormous search volume. A lot of them are brandable, meaning that they’re good for brands; they’re not necessarily good for people to search for generic words and find you. It’s a big gray pool. What advice do you have for somebody that’s searching through that gray pool to try and figure out value – whether a domain name is a thousand dollars or ten thousand dollars? Steve: Basically you just try to look up as many options as they can and just compare the different options. And see (a) what makes the most sense for them, and (b) if there are options that are just extremely different in price and it just doesn’t seem like there is a difference in, you know, the benefit of them, then you may ignore the higher priced one and just look at the smaller priced one because it still seems about as good for you. Steve: But, in general, a lot of times if you’re not in-tune with domains to a point where you’re dealing with them every day, then you’re probably not going to be able to as easily discern between domains that are thousand dollars or ten thousand dollars. Steve: So, really, the best you can do is do some research on various options. And just compare them and see what makes the most sense. Michael: Yeah. And, you know, I’ve been thinking about this more and more. It’s not different than real estate, like physical real estate, or maybe even your car. You know, you can go out and you can run comps on real estate in a certain zip code, three bedroom, fifteen hundred square feet in your zip code and find out how much the average square footage is per house. Or you can go onto Kelly Blue Book and you can look up a 1998 Acura Integra Legend with these amount of options. You can find out what the Blue Book value is. But regardless of what those say, you may still find a buyer who thinks that their car is worth five thousand dollars more than what the Blue Book. And they may list it at that price. And you may go look at it and say, ‘You’re crazy. It’s way overpriced’, but that’s their right as the owner of that property. Steve: Yeah. And that’s obviously especially true for domains. You know, there are sites where you can look up sales such as NameBio.com and DNSalePrice.com. But domain values are much more subjective rather than objective, where different people have different opinions of value of domains. Even though there are sales that may paint a picture, and even because of that, you know, maybe the sales may not indicate a clear picture of them because you may have two similar domains that have sold. You know, one may have sold for ten thousand; one may have sold for fifty thousand. And there’s no rhyme or reason to it, but it could’ve been just the fifty thousand dollar buyer was more motivated and, you know, absolutely had to have that domain. And on the ten thousand dollar one, the seller may have been motivated to get it sold. And because of that they may have just accepted a lower offer. Michael: Exact same situation in physical real estate. You know, I get sucked into those house hunter shows all the time. Where somebody fixes up the house, and then they bring in three realtors that walk around and give you a price. They never agree on the price of what the house should sell for. You know, they’re all within the same general range, but you’re saying, you know, looking at the comps can help and you named a couple of resources there. So, tell me this. I’ve bought a few domain names in my day, and I’ve made offers and I’ve tried to purchase a bunch that haven’t worked out. It seems like the people that own domain names that are just sitting on them that are undeveloped, that don’t even resolve, that just go to a parked page; they’re unmotivated in a lot of cases. Is just me, or is that a general reality of domain name ownership? Steve: Well, I think, these days even if someone’s not using the domain, they pretty much know what it’s worth. It’s not like, you know, even ten or fifteen years ago, where the domain industry was small enough and there weren’t that many huge sales of them to the point where everyone had a feel for what was worth a lot and what wasn’t. I mean, these days everyone knows. Everyone knows that you’re not going to get Cars.com for less than millions of dollars pretty much. Michael: Well, I’m not sure that everybody does know that, Steve. But let’s keep going. Steve: Well, it’s much, much more known than it used to be. But yeah, I think a lot of the owners of them see them as investments and they’re not necessarily looking to make something from them now. But their whole point of owning them is that they know that they’re going to make the big payday when it sells. Steve: And so, they have that figure in their head in terms of how much they’re expecting for it. And they’re going to wait for that. You know, they aren’t looking for anything less because that’s what their set on. And, yeah, even if they’re not actually making something from it, that doesn’t necessarily mean that they don’t value it as much as someone who would. And part of the reason is because they know that the person that would use it is going to be the one that’s going to buy it from them; and, for the most part, the value of a domain when it’s being sold is based on what the buyers willing to pay for it. So most premium domain owners will look at that, and look at how much their name would be worth if a business was on it that was making a lot of money, and they use that to price their domain and just simply wait for that offer. Michael: Yeah. No. That makes sense. And I think domain owners – what I found is that – whether they’re domain name investors that have bought and are holding hundreds of thousands of domain names, or even tech entrepreneurs; you know, I know a lot of people that have twenty domain names. They’re just going to hold on to them because it only cost eight or ten dollars a year to keep it. Michael: And while it’s going up in price, it’s not like physical real estate, where you have to pay taxes every year and it could be hundred or thousands of dollars every single year to maintain it. Michael: A big difference between the two. So what, I think, first off I want to make clear is that just because a domain name is not in use doesn’t mean that it’s not owned. You know, I’ve got a friend that was thinking about starting a company. The first thing he did was he typed the domain name into the browser and it didn’t go anywhere. So he thought it was available, but it wasn’t. It was actually reserved back in 1999. And so, that’s the first thing I wanted to make clear. But you bring up a good point. That the top-tier domain names, or even domain names that people like – two-word, three-word domain names – that are great for a niche. People are going to hold on to them until they get an offer that was in their mind. And often times, they don’t have a need now. Is there an opportunity for to stay in contact? Have a relationship even though you don’t transact a domain name. Have you bought a domain name that you stuck with the owner for a while and kept pinging them and made an offer when they finally needed the money or decided to sell it for some reason? Steve: Yes, I’ve had cases like that happen. Sometimes, especially if a premium domain owner first has gotten a domain, a lot of times they’ll have high expectations for the value and they may realize, over time, especially if their offer activity is showing lower value amount than they’re expecting, or just not seeing the level of activity that they were expecting, they may decide to accept less. And it could be for that reason or it could be for the fact that they may need the money. So it’s always good to keep in contact with them, even if you’re not able to make a deal right away. Because you never know when the price may go down and, you know, why it may go down. It could be lower offer activity. It could be that they just kind of realized their initial price was just never going to be attainable. It could even be possibly outside factors that may affect the quality of the domain. Like, for instance, obviously the economy. You know, if the economy goes a little down or has a little downturn, that could not only affect the sellers need for sale, but it could affect what people pay for domains. Things like that can basically cause a seller to reconsider a lower offer, so certainly keeping in contact with them will give you that opportunity to be the buyer that’s there to take up the lower price. Michael: Yeah. So tax day is coming up, Steve. Is that an important day to keep in mind? Steve: Yes, indeed. Any case like that where you are certainly a business or individual is going to need cash on hand to make a payment like that. Yeah, definitely. That’s a good timing thing. Michael: Alright. So if you’re thinking of buying a domain name, and maybe you’ve reached out to the seller and they weren’t interested or you couldn’t come to an agreement, or you’re just thinking about contacting them for the first time, tax day – when they may need to make a payment -, or the holidays, or just after the holidays, where their bankroll is running pretty low – their checking account is running low – might be a good opportunity to make a connection and get an agreement on a sale. Michael: Okay. So let’s talk about a few strategies for buying premium domain names when the owner isn’t motivated to sell or has reasonable expectations about the value of a domain name. What is the first idea that you have to try and get a sale done, or that an entrepreneur should think about when they’re looking for a domain name? Steve: Well, usually, a lot of sellers who are like that, you know, a lot of times they may just discount buyers or disregard buyers that either, don’t put forth an offer or put forth a lowball offer because they figure the possibility of a sale isn’t there. And a lot of times, their way of disregarding it is to give a sky-high price. You know, a lot higher than what they may have even actually been wanting just to basically get it over with. Michael: Okay. So let me ask you about that, Steve. So, I e-mail and I say, ‘I’d like to buy your domain name’, or I e-mail and I say, ‘I’d like to buy your domain name. Are you willing to sell it?’ You’re saying domain investors, or people that own domain names, may not even respond to that. Steve: If you’re asking whether they’re selling it, then that’s a reasonable question, I think, most sellers will respond to. If you’re asking for their price and you’re basically saying you want to buy it, but you aren’t putting forth a number, or you put forth a very small number that’s clearly far below what the name is worth, then yeah, that may either warrant a no response or essentially a response that gives an extremely high price that is basically designed to get you to go away. Michael: Okay. So I want to buy Tablets.com because I’ve got a great idea for an iPad application that’s going to go across every different application. And I e-mail them and I say, ‘Hey, I’d like to buy your domain name. Would you take five hundred dollars for it?’ I’m not going to get a response back because that domain name defines an industry. It’s probably a six or seven-figure domain name – maybe even more, who knows. Somewhere in that order of magnitude. Michael: Okay. Clearly under. Even if I said five thousand dollars, they probably wouldn’t respond back just because five thousand to five hundred thousand is just too far of a number. Steve: Exactly. Now, most sales do involve some level of negotiation, and sellers do understand that. So, you know, putting forth an offer that is reasonable, but isn’t your best offer – your highest offer – is usually a good idea. Because that way you have negotiation room. If you put forth your best offer and the seller comes back higher, chances are you’re not going to actually get them to come down to your offer. You want to have that negotiation room so that you can work them down. Michael: Sure. So let me ask you this. So, for those that don’t know how to value a domain name, I’m going to have the programmer for DomainWorth.com. You can go there. It looks like a pretty good system for evaluating domain name values. They look at a lot of different factors including search volumes, and comps, and things like that. You can go check them out for a ballpark. And if you search on DomainSherpa for Rosener Equation, Andrew Rosener has come on the show and shared with us how he values domain names based on the Google Analytics, Google Adwords Keyword Tool, data, and comes up with a ballpark figure as well. So you can sort of triangulate on values. Let’s say that I did that, Steve, and I triangulated on a value of ten thousand dollars for a domain name. What would be a reasonable offer to come in with that wouldn’t piss of the seller that I’m coming in too low, but wouldn’t be too high either so I’m not giving away extra money? Steve: Well, in that case, first off, if you use a system like that, the value it comes back with isn’t to a tee. Steve: I mean there’s always a range of value with domains. So having said that, probably if a domain is, say, a ten thousand dollar – just about four figures, or high four figures – as long as you come in at four figures, I think, that kind of shows you’re not someone who’s just saying, ‘Hey, this domain costs ten dollars a year’ (Unclear 33:14.5), or something. You’re showing that you understand that it’s a valuable domain and that you are expecting to pay a higher price for it. And because of that, they should take you seriously. You know, you don’t necessarily have to come in at close to what something like that would show a value of a domain as. But you should come within probably ten to twenty-five percent of it or so. Just because, again, you want to show that you’re serious about it, but still leave that cushion to where they will likely come in with a higher price. They may actually accept your offer, in which case hey, you’re getting a good deal. Michael: Wow. You feel like you’ve got taken if they take your offer right off the bat. Steve: Not necessarily. You know, if it’s less than you’re willing to pay, most buyers are going to be happy with that. But yeah, certainly that’s the case too. Michael: Alright. So that makes sense. So, you know, for example, I bought DomainSherpa.com. I researched a bunch of different domain names when I was thinking about what I wanted to name this publishing vehicle. And DomainSherpa made sense because I was bringing on Sherpas like yourself, talking about domain names, and it fits together. And I could get all the social media accounts; they weren’t taken. A lot of the other ones; the Twitter account was taken, or this, or that. And so, that was a big positive for me. And I think I reached out to the owners who were using it at the time, and you know, I can’t remember what I valued it at. I probably ran Estabot.com value and it probably came back at like a hundred dollars, or fifty dollars, or something like that. They were using it, but they weren’t using it for their main business. I probably offered them two or three hundred dollars – two hundred and fifty dollars maybe as an initial offer. You know, clearly more than what these automated tools. But when you’re around the hundred to two hundred, three hundred dollar range, you’re not going to get somebody’s attention by offering them fifty bucks for a domain name. Michael: And so, we ended up closing the deal at five hundred dollars. So I think they came back at a higher number, and then we negotiated down. Steve: Yeah, and that’s how most deals really happen. There’s going to be some counter-offer activity. And mainly, initially when you go into it, you just have to make sure the seller is aware you have a legitimate interest in it – I mean, you want to buy it – and you understand there will be a cost to it beyond, obviously, registration, and you’re aware that it has value and you’re willing to a pay price that they should be happy with. Michael: Yeah. Great point. And I’ll reiterate it again. Because I think a lot of people think that just because a domain name isn’t being used – it’s registered -, or it’s parked, or it doesn’t resolve, that they have a right to use it; that they have a right to register it. And they feel like they should only have to pay the registration fee. And that is not the case. That is now how life is. Just because I own a car and I’m not using it and it’s parked on the street, doesn’t mean that you get to use it. It is the property of me. I am the registrant of the domain name. And so I think that’s key. You know, we were on vacation and my daughter said that she wanted to start a blog. And, of course, I want to encourage that. I want to encourage her writing more and creativity on the web. And so, we brainstormed a bunch of different ideas. She loves cats. She wanted a cat-related domain name. We though about, oh, just a bunch of fun ones like Meowzers, and things like that. And, of course, every single one was taken. And I would e-mail them and ask them. A lot of these domain names – you know, I won’t pay more than a few hundred dollars for my daughter. I love my daughter, but I won’t pay more than a few hundred dollars for her to have a great domain name. And we ended up getting her domain name – Catastic.com, And, of course, somebody owned that one. But it was a gentleman who was going to build a flash game and just had never gotten to it. And so we were able to come to an agreement for a few hundred dollars that he was willing to part with it. But before we contacted him, my daughter was adamant that it’s going to be free because he’s not using it. And I don’t say that just because she’s nine years old. I think a lot of people, at all different ages, just don’t understand how domain names work. Michael: And it is like property. It’s not physical property, clearly. But it is like other properties like physical real estate. Michael: Okay. So what if I lived up in Canada, and I was going to start a pet food store and I thought about PetFoodsCanada.com; but it’s taken, and the person wanted ten thousand dollars for it, and I can’t afford it? Steve: Well, with countries like Canada, who have their own country code extension, which is .CA. And it’s widely in use up there. A lot of Canadian businesses use it. And a lot of times when Canadian potential customers or clients are searching online, they’ll expect to see .CA domains and they’ll go to .CA websites to buy things. So, .CA is, in many cases, the best option. Just because if you’re looking to appeal to your local area primarily, then that show that you’re local for one thing, and you can still get your extremely good premium term in a .CA. And it has effectively the same effect. If you’re not looking necessarily to do International business, you may not need the .COM in that case. The .CA will give you your exposure in Canada. And if that’s your market, then that’s perfect for you. Michael: So if you’re serving the UK, you go for .CO.UK. If you’re serving Laos, you can .LA. Well, maybe that’s not the best case because LA is trying to be rebranded for Los Angeles. But every single country basically has their country code top-level domain – (dot) something. Michael: And so, if you’re serving that market, even if you are in the US, but you’re trying to serve the UK, and India, and France, you might want to buy those country codes, build websites just for those countries, and service them through whatever supply chain you have. Michael: Okay. So that makes sense. And would I expect to pay more for a domain name in a country code than the .COM? Steve: No. They would definitely cost less. Now, you know, there are certainly a lot of premium domain owners in country codes where they understand a business will be just almost as motivate, if not as motivated to buy their domain as they would the .COM. So, you know, there are going to be a lot of cases where those domains are going to be priced almost as high as a .COM. But, in general, you should expect the prices to be less. Because .COM – you know, it’s International. It’s the most used extension for business online, and it’s going to be the extension most people are going to go after. Whereas country code extension – it has a lower market. It’s just the country. And because of that, the prices are going to wind up being less. Michael: Okay. That makes sense. I went to a registrar like GoDaddy or (Unclear 41:13.8), or something like that, and I typed in my domain name and the .COM was taken. But it said that, hey, the .ORG or the .NET is available. Should I get one of those? Steve: It depends. There are some cases where some industries actually do use those extensions quite often. For instance, .ORG obviously for non-profits is pretty much the extension to use. In fact, most non-profits are going to use .ORG over a .COM. So if you’re a non-profit organization, then you’ll actually want to go for the .ORG. And in fact, it’ll be less expensive anyways, so it winds up being perfect. And then you look at some industries, for instance, Internet service providers. A lot of them have been on .NET. And this has just been something that’s gone on throughout the history of the Internet, where .NET has been that extension for Internet services. So, because of that, a .NET may be still a great option for such a company because people expect those companies to be on .NET because many of them are. Michael: Yeah. So if I were looking at a .NET to buy, or a .ORG to buy, off of somebody, and I know that the .COM sold for a certain amount. Is there a general rule that I can use? You know, is the .ORG a fraction of what the .COM value is? Steve: It can be more certainly. I mean, we’ve seen, in some cases, where .NETs and .ORGs have sold for a healthy six-figure amounts where the .COM may have sold for ten times more. So winds up being up to ten percent. So it can really vary. And a lot of times, it’s not just the difference in the power of the extension and how often it’s used. But it can just be cases where a price for a particular sale might be higher or lower depending on the factors at sale. So, you know, if you lookup a sale in .COM and it was a hundred thousand dollars, it may have been a high sale because of an extremely motivated buyer. So because of that, a .NET or a .ORG may cost much less because .COM buyer was highly motivated for the .COM. Steve: And that may not be the case for the .NET or .ORG. The seller may understand that the value of them is a lot less. Michael: Yeah. Alright. So let’s turn our attention to domain name hacks. This is a term that people may not really understand. Could you describe what a domain name hack is? Steve: So a domain name hack basically uses both, the actual name to the left of the dot and the extension to the right of the dot in order to make a word or a phrase, or even possibly a brandable term. So, for instance, we used the domain hack Doma.IN. All together it spells out domain, which is exactly why we use it. When you look at it you can basically see domain. Steve: And that’s nice, and short, and compact, and kind of catchy. You know, a lot of these names have started to become popular over the past several years because they’re unique, and interesting, and catchy. So, there are a number of different types of hacks, where, for instance, you look at Bit.LY. That’s a case where Bitly, by itself, is not really a word. But they use Bit.LY as a kind of hack to create a brandable term. Steve: You know, people refer to them as Bitly, not Bit (dot) LY. So, basically, they’ve turned that into a domain hack for their brand. Steve: It’s nice, and short, and kind of catchy. And that’s precisely what they were after. So even domains like that have increased in popularity. Michael: Sure. So, you know, you used Doma.IN – that word domain – for your consulting business or to sell your domain names. So it makes sense that people within the industry are going to go to that location. They get it. Michael: And if you were to try to purchase Domain.com, that would be probably a seven-figure domain name. Steve: A lot of money. Yeah, seven-figure at least. Michael: Okay. So a domain name hack is a great way to try and create a catchy brandable domain name and purchase it for a reasonable amount. Michael: Okay. You know, I’m a big fan of Fiverr, which is a service you can buy pretty much anything for five bucks online. And I think the DomainSherpa logo that flash through at the start of the show – that was on Fiverr. When we’re done with this show, I’m going to make an MP3 and I’m going to send it over for transcription. That’s going to be five bucks for fifteen minutes of transcription. It’s amazing. But for the longest time, Fiverr was using Fiverr.com. Because they wanted a business that was catchy, that everything was five dollars – you know, a low enough number that everybody feels like they could buy everything because it’s only five bucks; the cost of a latte or cappuccino. But what they found was that they were losing a lot of customers who were just typing in Fiver.com. Right? Michael: And so, they created this business, which a lot of entrepreneurs will do. They’ll say, ‘Well, let me just test the business. Let me just get it up and running’. They have wild success. They’re mentioned all across new shows; magazines; blogs. And then they ended up needing to stop this leakage of customers who were not getting to their website. So what did they end up doing in that case Steve? Steve: They wound up buying the spelling that people were looking for. So, Fiver.com. They wound up buying it for seventy thousand dollars about a year ago – April of last year. And we’re seeing that happen a lot more recently. In fact, one major sale that happened recently was Box.com, which sold to Box.net who had developed a very sizable business on that domain, and they paid almost a million dollars for it. Steve: And considering they actually paid a pretty decent price for it because they’re already an enormous business worth nine-figures at that point. So, a million dollars to get the domain that they’re likely leaking quite a lot of traffic; to sure up that traffic and also increase their brand quality was really a small price for them. And unfortunately, in some cases, when some businesses do that – when they start on the domain that’s not the ideal option, or one where they may lose traffic to a better option that’s similar that people would be looking for – there are some times where they aren’t going to be able to buy it. One case recently that was kind of interesting. All of us in the domain industry pretty much know it well because it was highly reported on and just created a wild buzz. But when Overstock.com had rebranded to O.co. They wanted an extremely short domain. They figured it would have a nice wide appeal and would create a massive buzz. What they wound up finding was that people were trying to look up O.com, and trying to type it in and go to it; and, you know, single letter .COMs had basically been reserved. All except for a couple of them that were taken before they got reserved. They were all reserved including O.com, so O.com doesn’t even resolve. And Overstock can’t buy it. So they were losing traffic to a domain that essentially doesn’t even exist. You know, it goes nowhere. And they wound up, basically, having to switch back to Overstock.com because they wound up seeing it was an enormous problem. So there are going to be cases like that. You know, if you with a lesser option, one of the things you should be aware of are the domains that may be taking some of your traffic. And the sooner you can get them, the better. Because if you grow as a business, and grow out big enough, the owner of that domain – if they’re going to wind up selling it, they’re going to ask for a much higher price once they understand that you’re going to be looking for it. You’re going to go after it and try to get it from them. Michael: Yeah. And it’s funny because the Box.net buying Box.com for a million dollars – that supports everything that we’ve talked about so far. Box.net is like Drop Box. It’s a place for you to store your information, your files, online. So it’s an Internet type of service provider. You would think that the .NET extension is perfect for them as business based on the Internet. Great, short URL. Box. It’s a place where you can put all your stuff. You would think that would be the ideal domain name, but in actuality they were losing customers who were typing in Box.com. Because people’s behaviors are hard to change. Everybody know that there’s a .COM button on their iPhone keyboard. That, you know, .COM just sort of flows from the keyboard when you’re typing. And so, you’re always going to have that leakage if you choose any other domain names. Unless it’s a specific, maybe a, country code, where people know that you only operate in that country. Michael: Alright. Well, I think that’s going to be one of the biggest lessons learned that I’d like entrepreneurs, or business startups, to think about when they’re contemplating different domain names. Now, clearly, there are limitations to everybody. I’d like to buy some domain names right now. But I’ve had conversation with them, and they want a middle five-figure number for a domain name that I think is only worth maybe ten thousand dollars. So, you know, we’re just not coming to an agreement on those terms. What would you suggest in that case, where someone is willing to spend a decent amount of money – ten thousand dollars? That is a lot of money for a startup to put into a domain name, and to ensure that they have a great online brand – a great online store – for people to go to. And you’re just forty thousand dollars different from what the seller thinks the value is. Steve: Well, that’s for one thing, that’s part of why you should always understand that domains – they may be unique, but there are always other options. If you can’t work a deal on one, then have other options ready that you can go for. Like I had said, the one thing that an entrepreneur should be aware of if they’re going to get a domain is that the one that they want – the most ideal name – may be off limits. They may not be able to get it. So, if they understand that, and if they look at other options, then they can have something else in place possibly that may be within their budget, that they can get and still work with. Steve: But, you know, there certainly may be cases where it may seem like a deal is not working, or they receive a price that’s beyond their budget, like we mentioned before, stay in contact with the seller. They can certainly maybe decide at some point to increase their budget just to see if going a little bit higher on their offer may get the job done. You know, again, when they initiate contact, they shouldn’t go with their highest offer initially so that they can have that room to work up and to work the seller down on their price. All of these things can basically help them reach a deal. But, again, there are going to be cases where they can’t. So they should be aware of that and they should realize that there are other options that can work for them. Michael: Right. Alright Steve. Great insights for startups, for entrepreneurs, for people that want to start their business, to better understand the domain name industry. If someone wanted to learn more about the domain name industry, you have a boot camp coming up in the next few weeks. Isn’t that correct, Steve? Steve: Yes. We have the Domain Boot Camp, which is an intensive live two-day training event that we’re holding San Diego on May 5th and 6th. And, basically, it’s designed to (Unclear 56:18.6) our many years of knowledge on pretty much every aspect of domains. Whether it’s domain research, domain evaluation, monetization, development – all that kind of stuff where even if you’re completely new to domains, you can come to the boot camp, learn everything you need to essentially hit the ground running with domains and be able to have success and make more money with them. And even for entrepreneurs – just to have a better understand of domain names so that they can choose better domains for their business and have a better chance of online success with them. Michael: Yeah. It sounds like a great opportunity. I know that I’m a tech entrepreneur. I’m always going to be online. And so, for the rest of my career I’m going to be buying domain names and, hopefully, selling some of them, and selling some businesses. But having that base knowledge of domain names – just like if you’re going to get into real estate and buy a few houses. You’re going to read a lot of books. You’re probably going to attend some courses to figure out all the intricacies of the real estate space. So, two-day course. Boot camp. A-to-Z for every topic related to domain names. Steve: And then we actually have a special promotional discount for anyone who sees this – everyone on DomainSherpa. Steve: You can use the promotional coupon DomainSherpa to receive a hundred dollars off of your registration to Domain Bootcamp. Michael: Oh, that’s very kind of you Steve. Thank you very much. So, yeah. I want to hear from people who attend the course and what they learned. And if they were able to buy a domain name, or negotiate, or figure out what the true value or what the true range of a domain name is. I want to hear somebody go through your course, Steve, transact something, and then come onto DomainSherpa and share that experience. I love to hear these stories. I love to find out what domain names are worth. And I find the whole thing fascinating. So I’ll offer that up for anybody that uses the coupon code that maybe has a startup and wants to get a little promotion for their startup as well and walk us through that entire process. We’d love to learn about it. Steve: That would be great. We appreciate it. Michael: Alright. So you’re on Twitter, right? Right Steve? Last time we talked you were using NameTrader. Steve: Correct. Yes. I’m still @NameTrader on Twitter. Michael: Alright. Are you going to be Tweeting during your Bootcamp from NameTrader, or Domainate, or any of those. Steve: Yeah, we may – probably from Domainate. That’s the account we’ll be tying in with Domain Bootcamp. Michael: Excellent. So that’s Domainate. Michael: Steve Jones, CEO of Domainate. Thank you for being on DomainSherpa again, sharing your tips and tactics for successful domain name buying and selling, and helping others become more successful entrepreneurs. Steve: Thank you Mike. Always a pleasure to do this with you. I love these interviews, and I certainly hope this helps a lot of people understand buying a domain. There’s a lot to understand about it. But once you know a little bit more going into it, it’s a much better process. Michael: Definitely. And it becomes less scary and less frustrating as well. Michael: Thank you Steve. Thank you all for watching. We’ll see you next time. Another great, great interview. I really learned a lot about the different tiers of domain name pricing. I will have to watch this one again. Very useful information for beginners. As a domain name portfolio owner I can tell you what sets my motivation to zero: domainers requesting to purchase names from me at amazingly low-ball prices. I just will not do it. I refuse to sell to domainers and when I get an offer for a name at $60 I know I have one so I simply do not respond. Another great interview … just a note on the number of small businesses. It is often reported that 500,000 new small businesses are started each year, but in fact this number is a monthly number. According to the Kauffman Foundation, 543,000 new businesses were started per month by new and repeat entrepreneurs in 2011, down only slightly from 2010 numbers. So in a way, the opportunity and messages are 10x as important. Thanks for the infographic link, John. On SBA.gov, I found an outdated source saying about half a billion new startups per year (http://web.sba.gov/faqs/faqindex.cfm?areaID=24). It’s likely a discrepancy due to definition of terms. If that many new businesses are created, I wonder how many businesses go under each year ? Very useful information. Too many people aren’t clear about domain name acquisition and valuation, and this is a very pragmatic take on it. Thanks, Steve and Michael. Thanks for your comment, Aishwar. I agree completely. Glad you found it useful. Steve is a wealth of knowledge. Thank you Aishwar – I’m glad you found the interview useful. The first site I mentioned was NameBio.com, not NameBuyer.com. NameBio.com is the most established domain sales database and the one we use the most to look up sales. I did give an incorrect URL for the second one and apologize for that – that site is DNSalePrice.com. Thanks for clarifying those two website URLs, Robert. I’ll fix the transcript and add them as “resources” above so people have quick access to them.